Screen room – With a screen room, residents can enjoy the outdoor air, the sounds of nature and take in a subtle breeze without having to fend off insects. 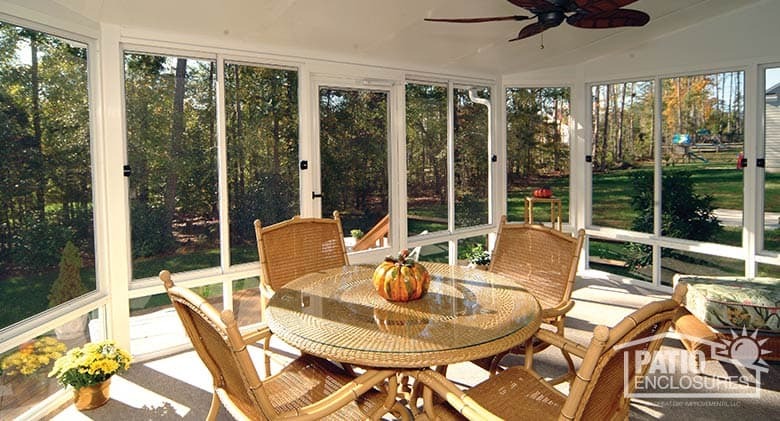 Three season sunroom – This type of porch enclosure consists of full-length walls and windows. The windows can be opened to enjoy the weather when it's nice, and the walls provide some protection from the elements. This enables you to be able to use the space not only during summer, but in early spring and late autumn as well. Four season sunroom – A four season room has an insulated frame and double- or triple-paned glass and can be climate controlled. A four season sunroom allows for year-round use and offers the best return on investment (ROI), because it fully expands the living space. 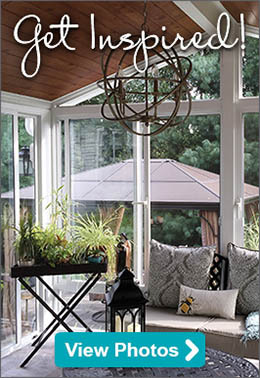 Solarium – This type of sunroom is covered in glass from top to bottom and is typically used for soaking in the sun during the day or enjoying the stars at night. Using double-paned glass and a heating system add functionality in the winter, as well as a beautiful view of the snowfall. 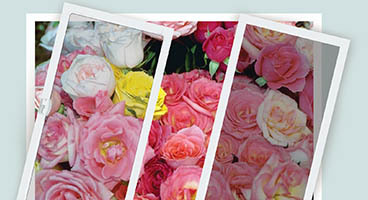 The functionality of a screen room is determined by the type of screen that is installed. Most homeowners with screen rooms will agree that it's best to go with a screen that stays clean and will provide you with visibility and no glare. A durable screen is also important. You’ll want your screen room to last for years to come, so make sure that the screens that are installed are strong. Consider an aluminum screen that will resist sagging better than traditional fiberglass. 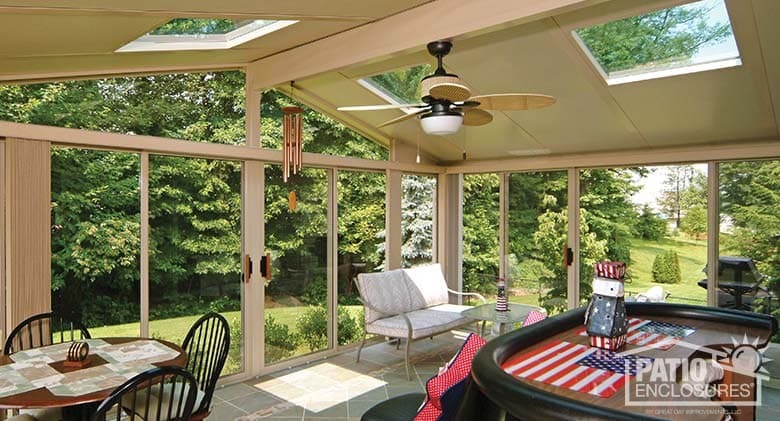 For three season and four season sunrooms, choosing the right windows is very important. On a front porch enclosure, it's important to have high-quality windows to help boost curb appeal and increase your home’s ROI. 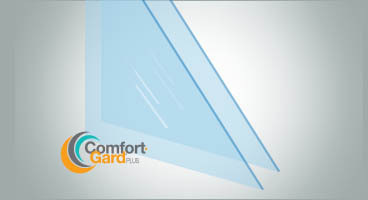 After that, it's all about the function of the windows; whether they are sliding or stationary windows. Since three season rooms aren't typically used in cold weather, single-pane windows will suffice, although double-paned windows will extend the seasons. 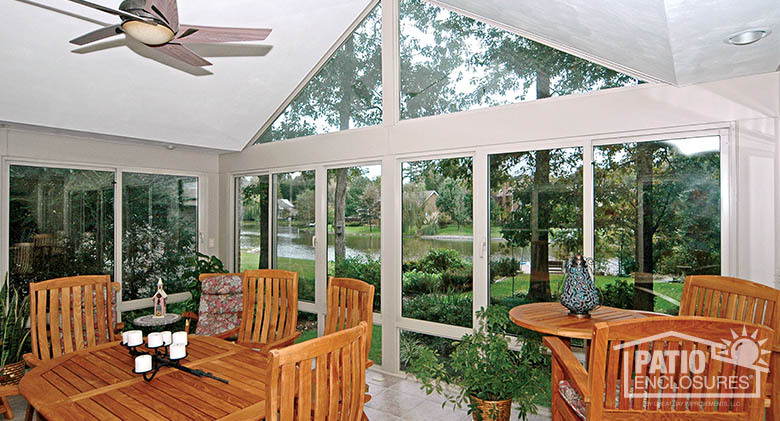 Four season sunrooms should have at least double-paned, insulated windows. 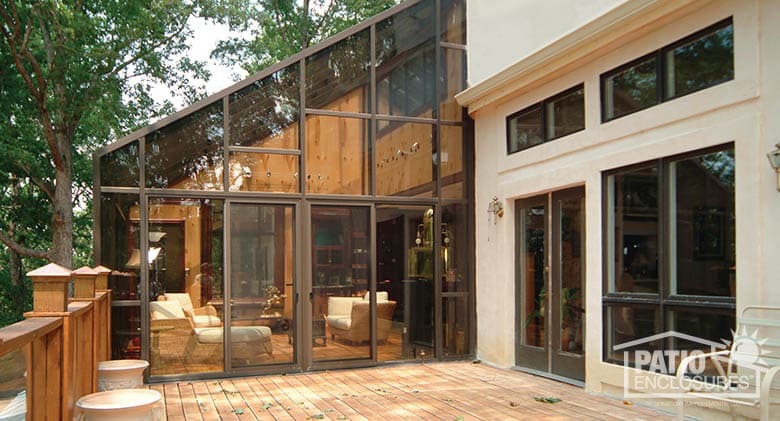 Another consideration when choosing a sunroom is aesthetics vs. function. 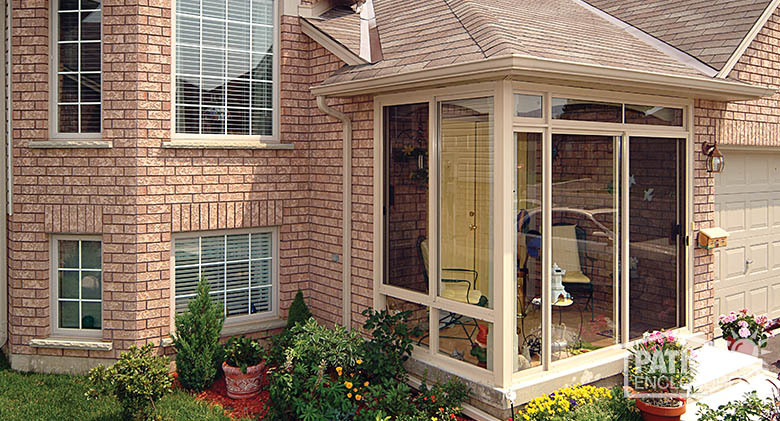 Aesthetics are especially important if your sunroom happens to be on the front of your home. Options might include: the slope of the porch roof, the siding, type of windows and decorations. Adding an enclosed front porch to your home is a great investment simply for the fact that it will make life more enjoyable – the best return on investment that any renovation can provide. Interested in learning more about adding a front porch enclosure to your home? Request a free in-home estimate from Patio Enclosures today.